I am really loving the warm weather this week. 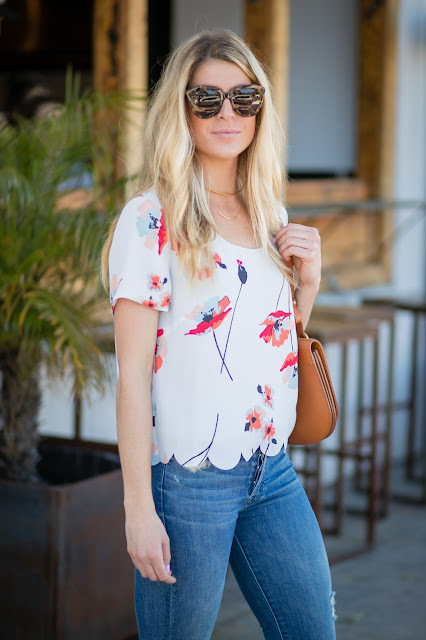 After getting back from Mexico for work, I am planning on taking these next few days to do some spring cleaning (specifically to my closet). 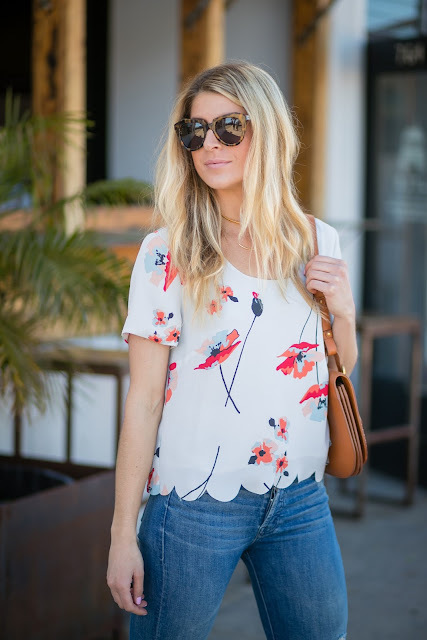 I feel so much better buying new clothes for the season, when I know that I have shed my winter coats! 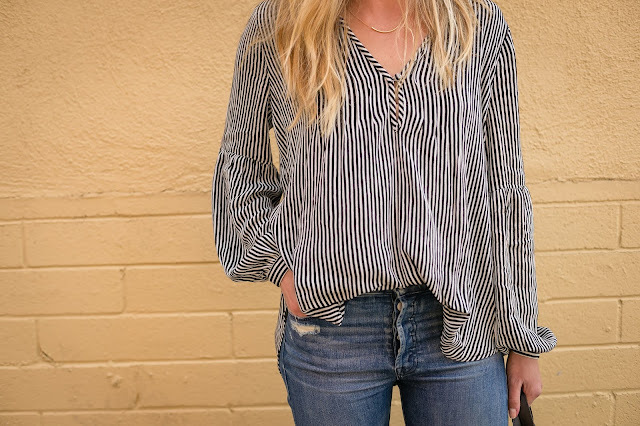 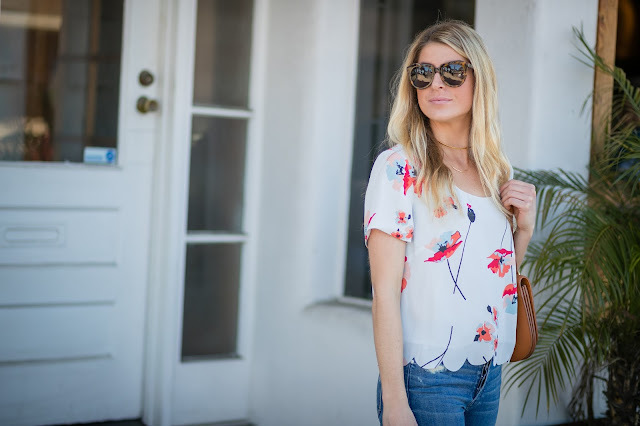 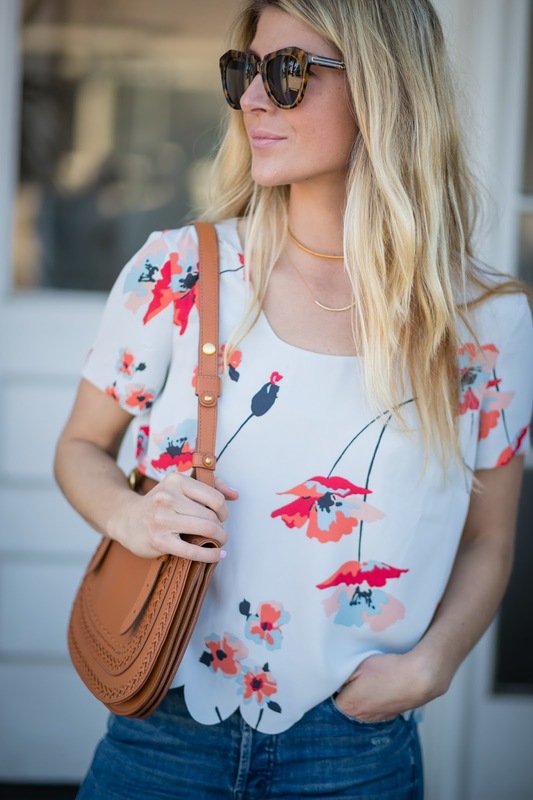 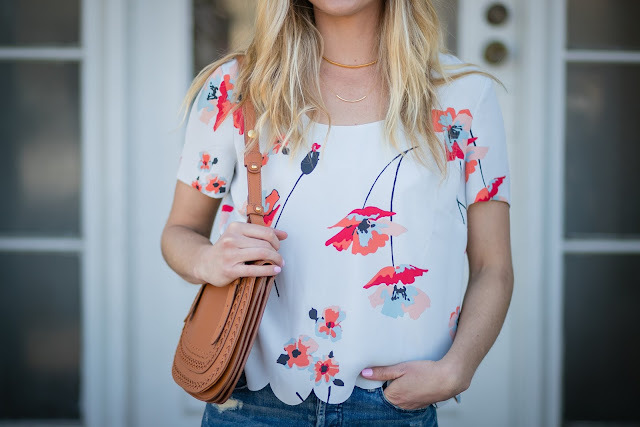 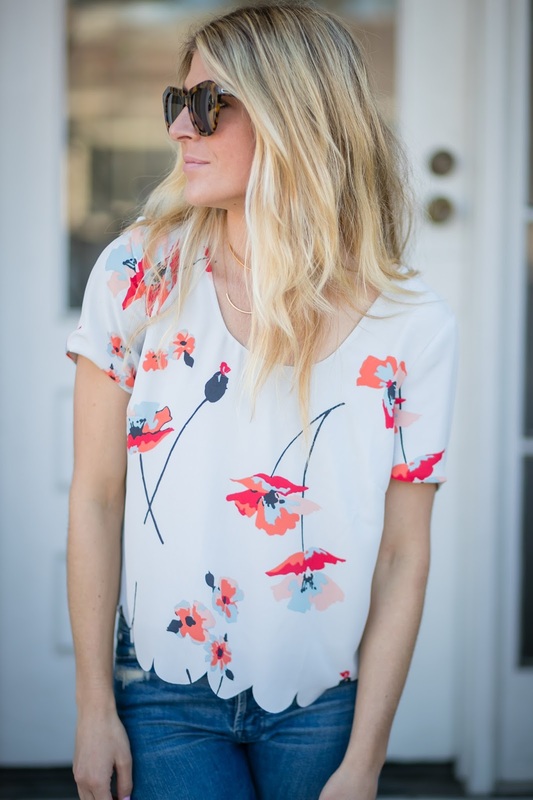 One of the new items for my Spring wardrobe include this top from Paper Crown’s new spring line! 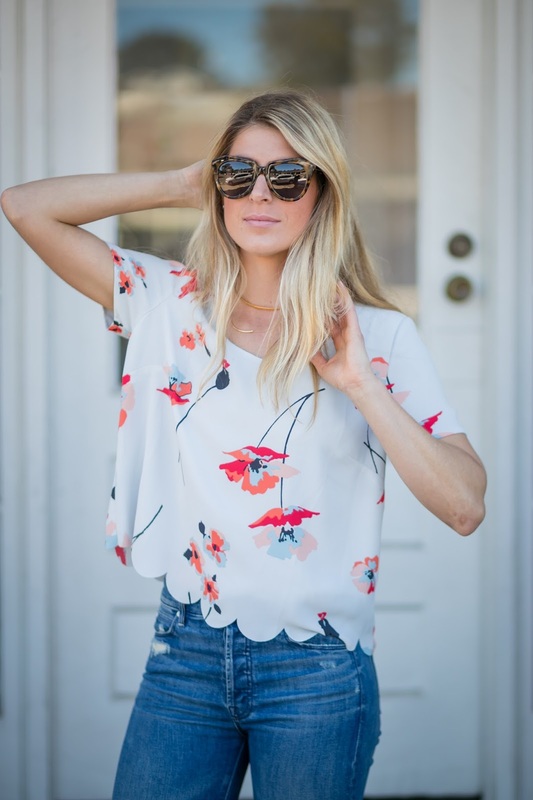 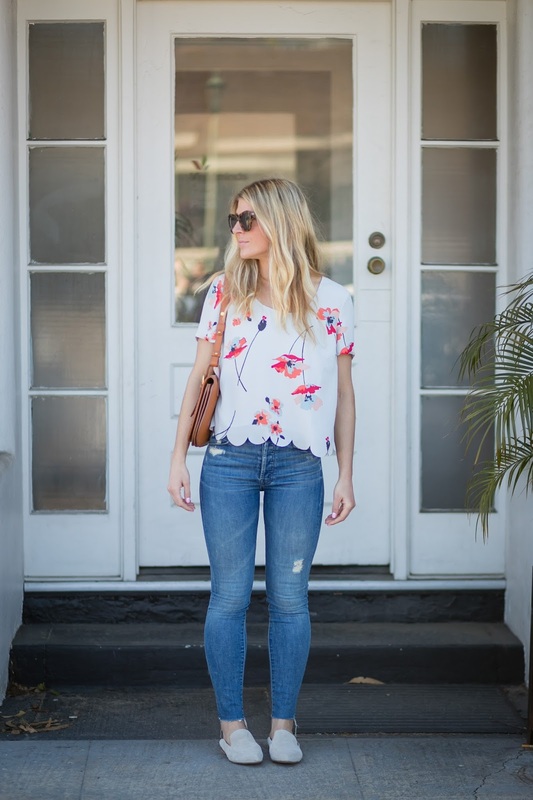 It takes the crop top and adds some class with the scallops and floral print. It’s lightweight material makes it perfect to dress up with come trousers or down with jeans.